Springfield MRI & Imaging Center | Excellence in Radiology | Welcome! Welcome to Springfield MRI & Imaging Center. Springfield MRI & Imaging Center is dedicated to providing a remarkable patient experience. 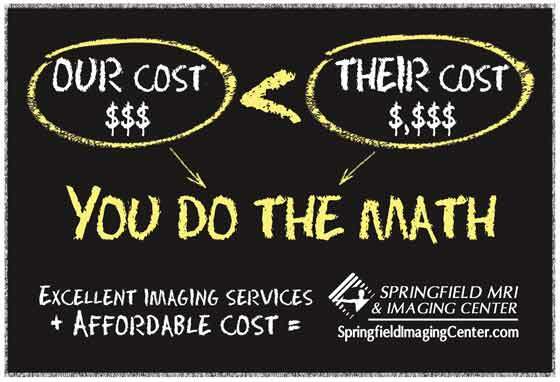 Like most first-time healthcare experiences, an imaging procedure can be stressful and expensive. That's why we make every effort to view our business from the patient's point-of-view. We know patients want an accurate study that is performed quickly and as cost effectively as possible. Service for us means customer service - treating each patient exactly how we ourselves would like our family and loved ones to be treated.